I know, I know, I left you hanging...but I'll make it up to you by doubling today's wicked freebie! Plus, I am going to announce the winners of my FABULOUS One Year Blogiversary GIVEAWAY!!! 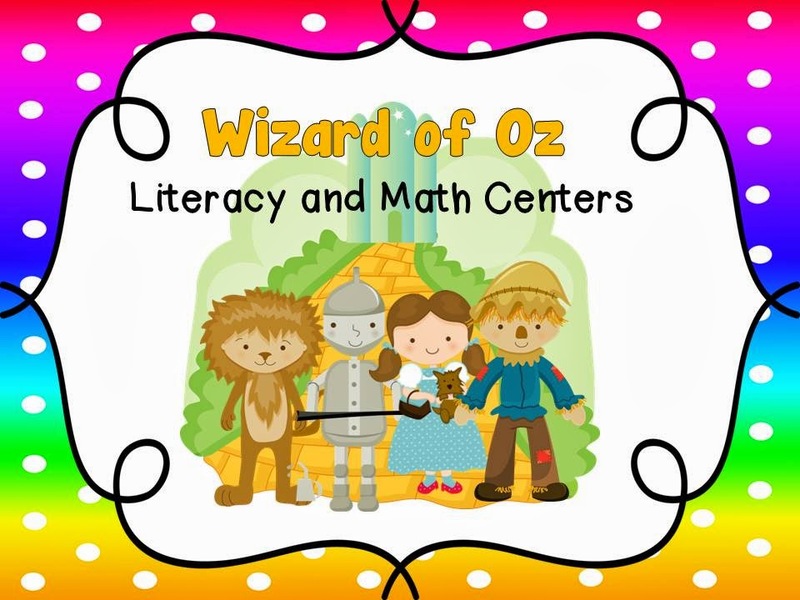 First, I want to show you my amazing new Wizard of Oz Math and Literacy Centers. My Kindergarten team LOVES Wizard of Oz. After we finish the book in April, we will have a local weather man come talk to the kids and have a Character Parade - I will be Glenda. 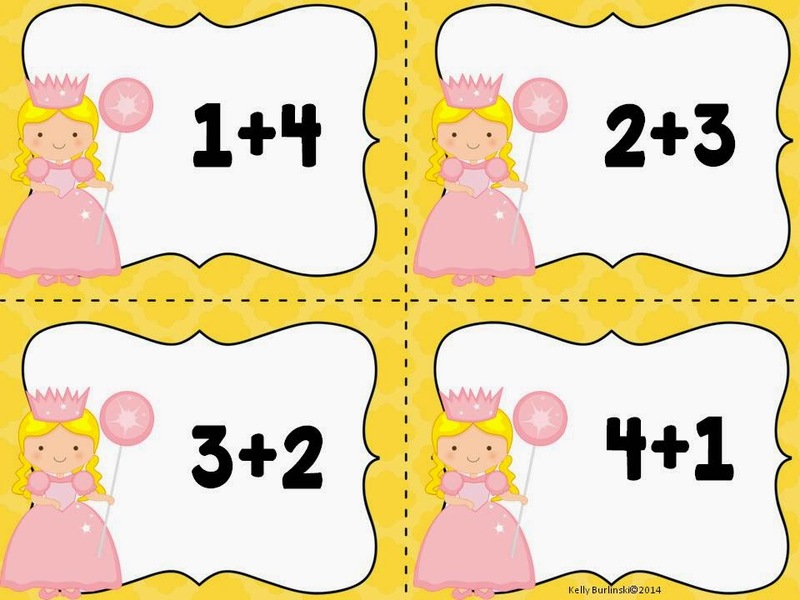 Students will love practicing their sums of 10. 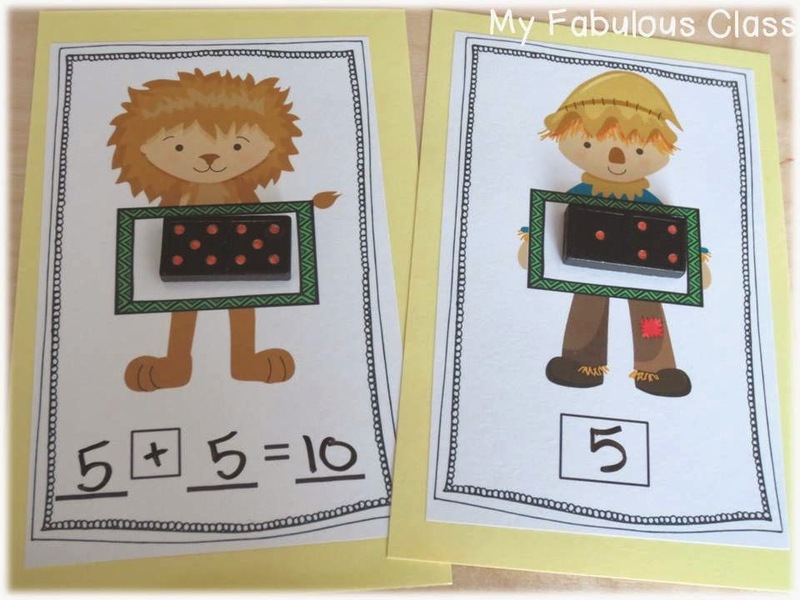 For advance students, have them solve without manipulatives. I I was out of white card stock, so I backed it on green card stock before I laminated it. I think regular paper is to floppy when laminated. Yes, I LOVE dominoes! My students have been having a blast with this activity. I love how easy it is to differentiate. I have some students working on subtraction as well. Dominoes are a great way to teach subtraction. I has the hardest time getting this picture straight! And yes, there is a shadow. What can i say? I am a teacher not a photographer!!! Side note- My father in law is a photographer. If only he lived closer, I could make him come take pictures in my classroom. LOL. 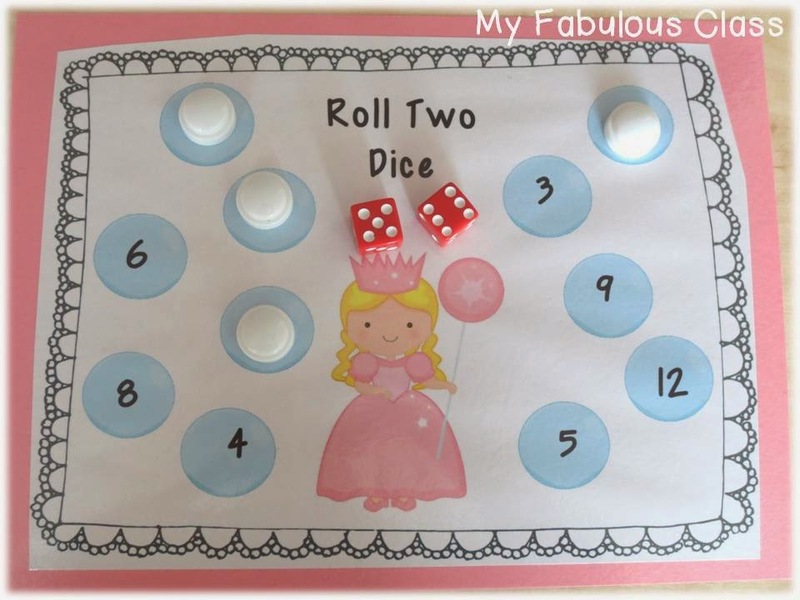 This is a fun way to practice building numbers up to 20. 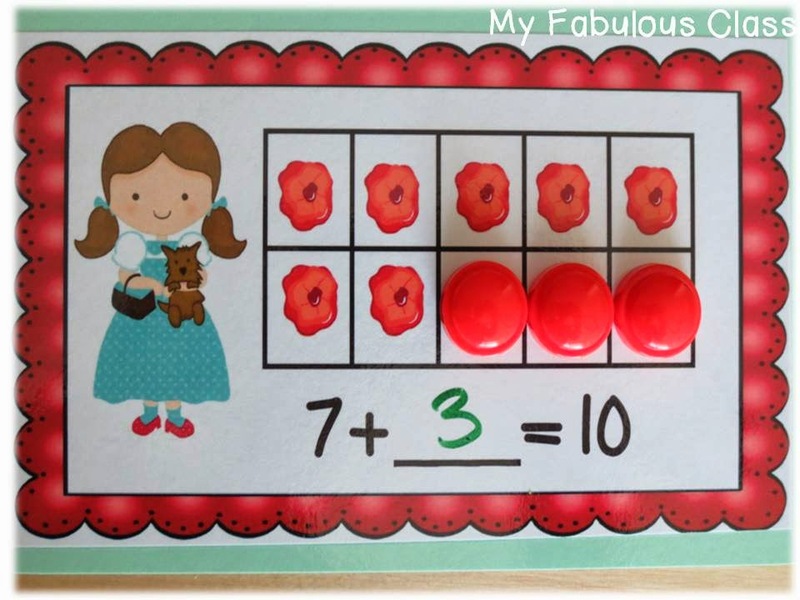 As a bonus, I included numbers up to 50 and a pair of ruby red slippers to hide behind the numbers and practice number recognition. 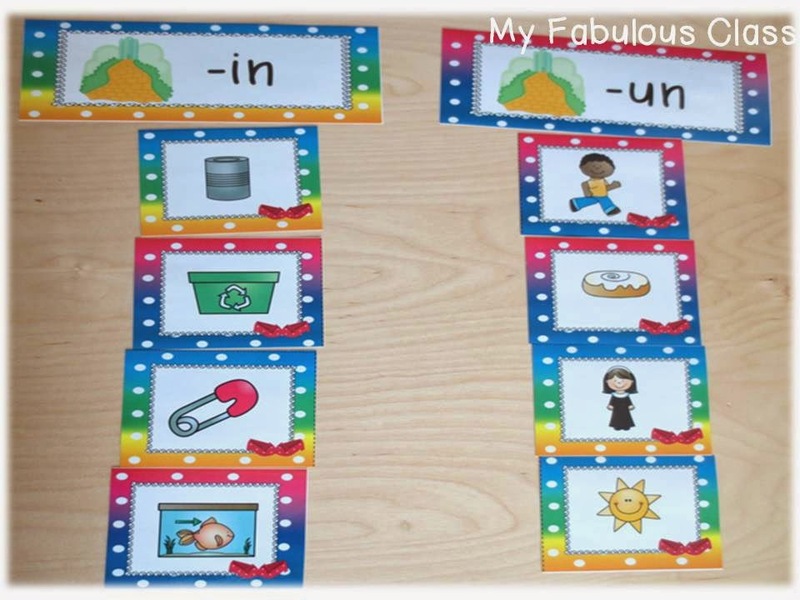 This IS the BEST SIGHT WORD GAME EVER! I made a similar game for Valentine's Day. 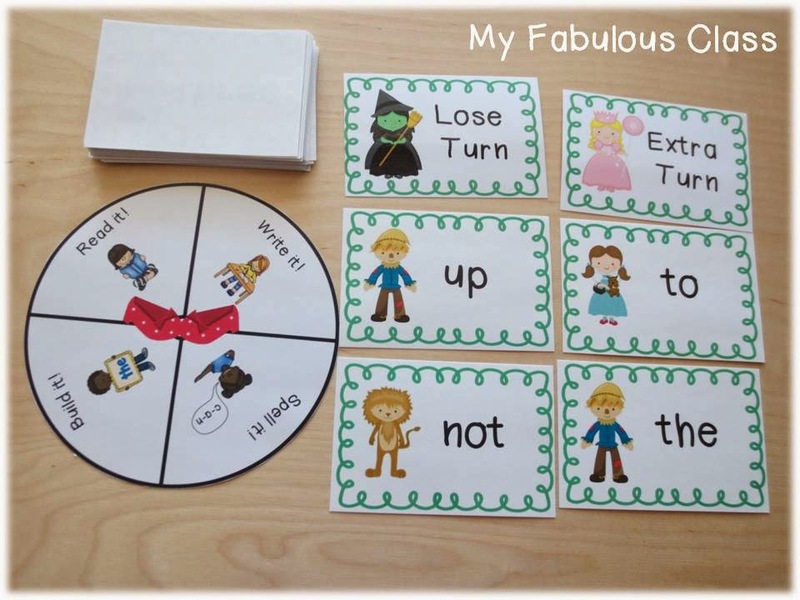 The kids take a card and spin the spinner to see what activity they will do. This game is secretly differentiated. 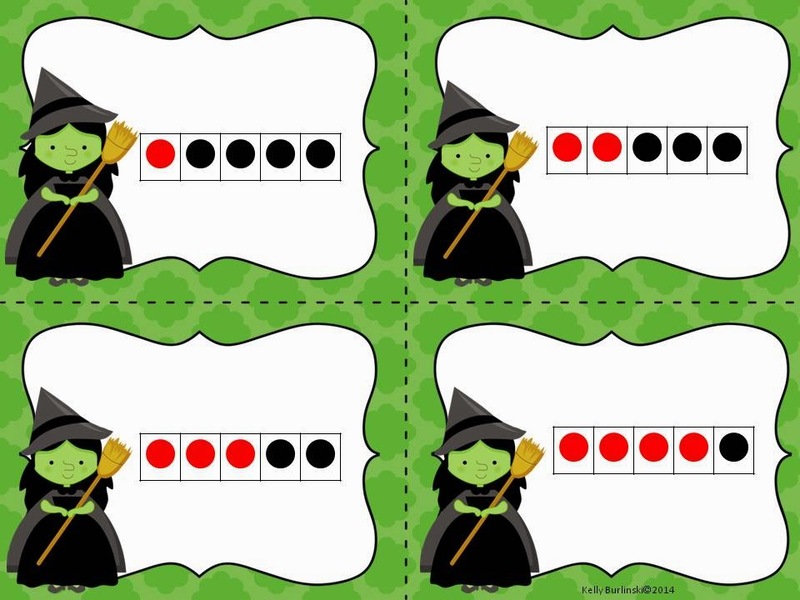 Even your pumpkins who may not be able to read their sight words can build the word or spell the word, so they should be able to keep several cards. You can also reduce the number of cards for your RTI kiddos. I used the Pre-Primer Dolche list. I love how bright and colorful this center came out. There are 6 different word families: -up, -in, -un, -op, -ing, -ick. Students sort the pictures based on the word families. 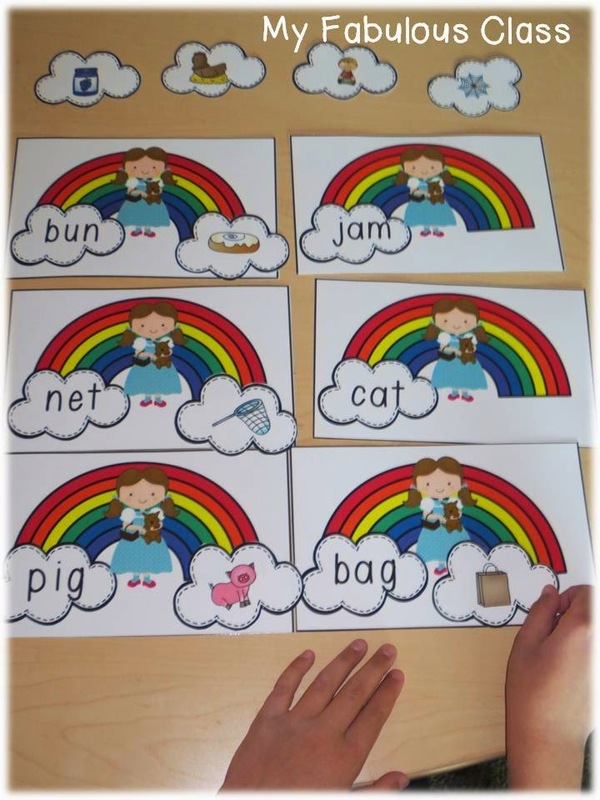 I love picture sorts because it gets kids thinking about the sounds in the words, rather then just looking at the letters and possibly not saying the words. You can purchase all of these centers and more for 50% off until Monday HERE. The top picture is a CVC game. Students match the picture cloud to the word cloud. This may be my favorite game in the pack.The second freebie is a Sums of 5 game. I provide directions for three different games. 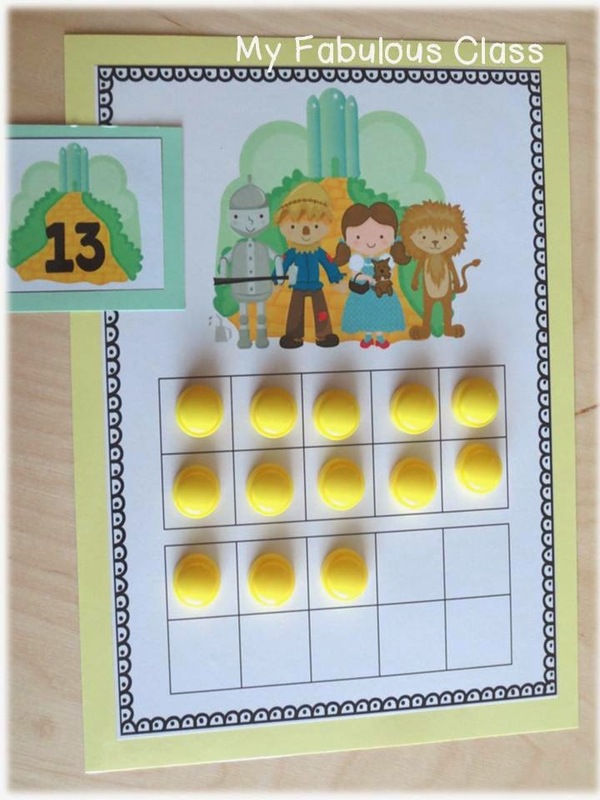 If you buy the Wizard of Oz Math and Literacy Centers, you will also get a Sums of 10 game. You get your sample freebie here. This freebie and all of this weeks freebies are only available until tomorrow and then they will be gone. Tomorrow, I will post my final freebie with a little surprise. UPDATED: The freebie is no longer available. You must purchase the product now. Email me your list at kcburlinski@gmail.com and I will email you the products. Thanks to everyone who entered. If you didn't win, don't worry, my entire store is 20% off until Monday! Yay! I am so excited to win!! I hope you and your class have fun with your goodies! I am so intrigued by your sight word game! My kids LOVED my Valentine version. I use to make games with two sets of cards, with one set being the action set, and then thought of the spinner. Much easier. This whole set is amazing! Fun, exciting, and is sure to draw your kids in :) You hit it out of the ball park! Thanks, Laura! I appreciate your support.